With such a bleak economy and so many audiophiles wondering whether now is an appropriate time to make any audio purchase, I had to wonder about the recent launch of Synergistic Research’s new Galileo models. 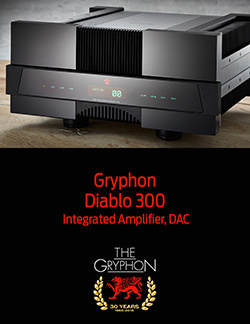 At $40,000 for a pair of top-of-the-line speaker cables and $50,000 for two sets of flagship interconnects, these products will be on the holiday shopping lists of the very few who are accustomed to such luxuries as American Express Black Cards, Bugatti Veyrons, and stays in the Presidential Suite of New York City’s Plaza Hotel. I don’t have a Black Card or a Veyron, and the only times I’ve been to the Plaza have been to attend weddings. Needless to say, I won’t be reviewing the Galileo cables any time soon. All is not lost. Synergistic has trickled down the technology used in the Galileo models to its Galileo Universal Cells: small black boxes that, when attached to any brand of speaker cable and/or interconnect, are claimed by Synergistic to turn almost any wiring system into an audiophile version of the proverbial silk purse. According to Ted Denney III, Synergistic’s lead designer, the Cells will decrease the system’s noise floor, increase its resolution and air, improve its dynamics, and enhance its soundstaging and presence. At $2500 USD for a pair of Galileo Universal Speaker Cells and $1500 (RCA) or $2000 (XLR) for a pair of Galileo Universal Interconnect Cells (two pairs are needed for a system that uses a separate preamp and power amp), these things still ain’t exactly cheap. But $5500 isn’t Bugatti money, and that kind of loot didn’t seem too out of line with the cost of my midpriced system, so Denney arranged for a full set of Cells to be sent to me. I was also sent matching sets of Galileo Basik speaker cables and interconnects. For a limited time, the Basiks are being given free by Synergistic with each purchase of matching Galileo Universal Cells. 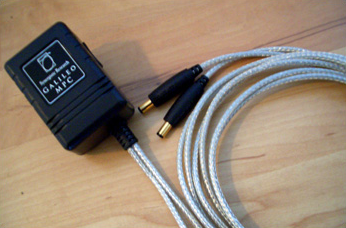 The company’s least-expensive Quantum Tunneled cables, the Basiks retail for $250 for a 1m pair of RCA interconnects (add $95/pair for XLR), and $375 for a 6’ pair of speaker cables. To further spice things up, Denney arranged for me to receive a handful of Galileo Mini Power Couplers ($400 each). These upgrades of Synergistic’s standard Mini Power Coupler (MPC) power supplies can be used not only for the Cells’ active shielding, but for any active Synergistic cable. As described below, the Galileo Universal Cells are inserted in the signal path of your system. According to Ted Denney, what we call a signal is actually a chain of trillions of electrons in a state of constant flux. In that chaotic subatomic world, electrons travel through billions of molecules, which themselves comprise trillions of atoms. Denney says that the combined effects of a multitude of external variables on this chain determine the quality and nature of what we perceive as music from our audio systems. What do these variables include? Well, Denney states that one thing that can influence the electron path is an electromagnetic field. Such a field can be caused, for example, when an interconnect passes over a power cord, when a circuit passes close to a transformer, when speaker cables are laid on the floor, or when electrons pass through a conductor of copper, tin, silver, or gold. According to him, the number of variables that color and shape the final sound that we hear may be infinite, and we understand very little about many of them. Denney explains that he initially discovered that placing direct current (DC) in close proximity to a signal (e.g., to actively charge the shield of a cable) calmed or stabilized electron behavior. This, he claims, dramatically improves performance by reducing the noise caused by RMI and EFI. He has refined this active-shielding technology though four generations of Synergistic cables, the most recent being the elite Galileo line. In addition to being actively shielded, the Galileo cables, like Synergistic’s best-selling Tesla cables, employ what Denney calls Quantum Tunneling. This, according to him, involves subjecting the cable, for a precise amount of time, to a 1-megavolt high-frequency signal at a specific pulse modulation and frequency. Denney states that both the active shielding and Quantum Tunneling technologies alter the way a conductor transmits electrons through the manipulation of electromagnetic fields, and that the final results can be only partially explained by what we can currently measure. I discussed Synergistic’s active shielding and Quantum Tunneling in my SoundStage! review of the Synergistic Tesla Apex and Precision Reference cables. As I said then, I can’t vouch for Denney’s technical explanations of these technologies, but they seem plausible to me, if not reasonable. In any event, I’ve found his Tesla products to be among the best-performing cables I’ve heard, regardless of cost. Further experimentation by Denney resulted in the development of an electromagnetic cell that uses both active shielding and Quantum Tunneling. This cell, the details of which Denney wouldn’t divulge, was first used in Synergistic’s PowerCell power conditioner. He subsequently adapted the underlying technology for use within the signal path by the Galileo cables and the less expensive Galileo Universal Cells. 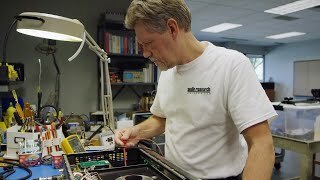 Denny would disagree that the PowerCell, or any power conditioner, is outside the signal path. 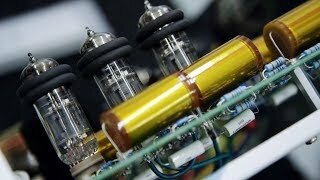 As he sees it, alternating current (AC) is a signal, albeit a relatively simple sinewave, which audio components eventually convert into a more complex signal that we hear as music. He has always seen AC as a system’s true front end. 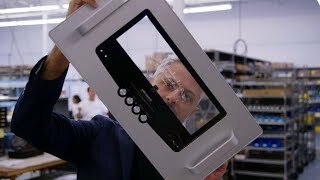 Denney does admit that the design of the Galileo Universal Cells is similar to that of the more expensive Galileo Cells. He also identifies several of the many differences between them. 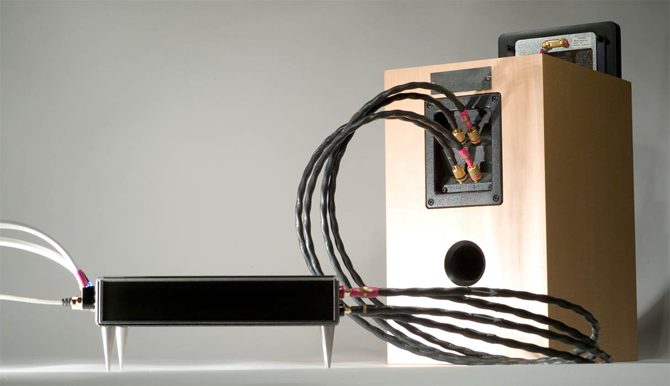 First, unlike the Universal Cells, which come sans cables, the Galileo Cells come with a number of Galileo cables, or "strings": different combinations of precious metals that can be interchanged to tune the sound of the components they connect. (The Galileo Universal Cells generally contain fewer precious metals than do the more expensive Galileo Cells.) The Galileo Cells have four Cells per cable pair, the Galileo Universal Cells only two. As for the Galileo MPCs, Synergistic begins with a standard MPC and guts its interior, discarding its circuit board. The transformer’s primary and secondary windings are Quantum Tunneled in the direction of the signal flow. Then, the standard unit’s capacitor is replaced with a proprietary Quantum Tunneled capacitor that Synergistic calls a Zap Cap. The standard diodes, too, are replaced, with four Quantum Tunneled high-speed diodes. The MPC is then rewired, point to point. Finally, the circuit board, lead wires, and all contacts are Quantum Tunneled, also in the direction of signal flow. The Galileo MPCs are Quantum Tunneled at seven different points, more than any other Synergistic product. How to hook them up? You must run each of your existing interconnects or speaker cables into the side of one of the Cells. The signal passes through the Cell, and reaches your speaker or component via a jumper cable that comes out of the Cell’s other side. Those using a separate preamp and power amp need a minimum of three pairs of Cells for a full-blown Galileo setup: two pairs for your interconnects (one each for source to preamp and preamp to amp), and one pair for your speaker cables. You attach the jumpers of the first pair of interconnect Cells to the source’s right and left interconnect outputs. You then run your interconnects from the connectors on the Cells into the proper inputs on your preamp. You also plug in the dual leads of the MPC power supply, one for each Cell, then plug the supply into an AC outlet. Last, you snap onto the Cells the small but very bright blue lights that illuminate when the Cells have been activated. 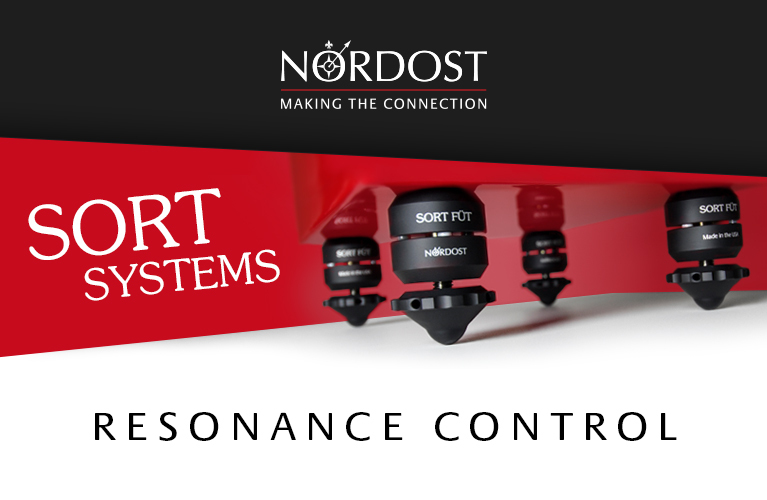 The second pair of interconnect Cells are inserted the same way, this time in the link between your preamp and amp. You insert the fixed jumpers into the preamp’s output connectors, then your interconnects into the Cells on one side, the amp on the other. Note that the interconnect Cells are application specific -- a pair can be used either between source and preamp or between preamp and amp, but not both. When I first hooked up the Cells, I missed the small white arrows on the jumper cables and placed them in the wrong positions. 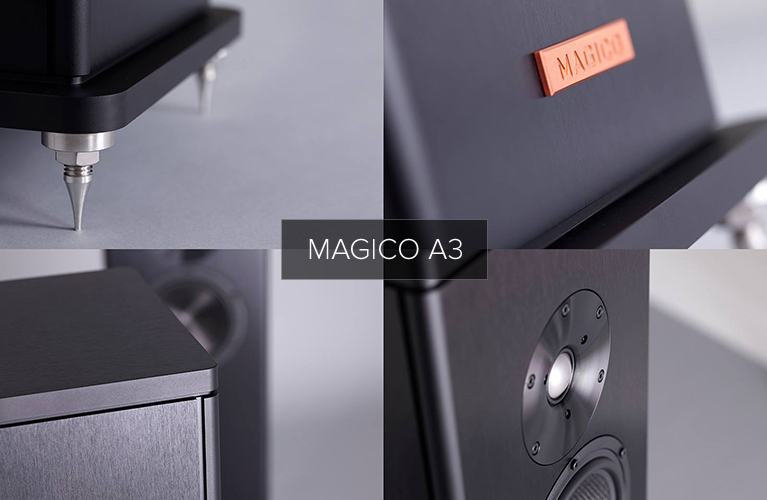 If you have an integrated amp, Synergistic makes a set of Universal Cells that are basically a hybrid of the two types of Galileo Universal Interconnect Cells used for separates. The price is the same as for a single pair of Interconnect Cells. The two Universal Speaker Cells are placed at the end of the speaker cable just before each speaker. The side of the Cell with the binding posts contains the power-supply connection and a place to snap on the little blue light. The other side has connections for a removable jumper cable that attaches to your speaker’s binding posts. 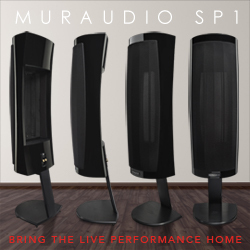 In fact, there are three outputs, in case you want to bi- or triwire your speakers. Both the Universal Speaker and Interconnect Cells come with very sharp screw-on spikes. I used these for the Speaker Cells only; the Interconnect Cells hang in mid-air when attached to my components. This seemed to work fine. Setting up the Galileo MPCs is easy. Just unplug the standard MPCs from the Cells and the AC outlet, and replace them with the GMPCs. I first tried the Cells with my Synergistic Tesla cables and the standard MPCs, leaving the less expensive Basik cables and the more costly Galileo MPCs for later listening and evaluation. I’d found that the Synergistic PowerCell 10 SE power conditioner underwent major break-in during the first 36 hours, and constant but less significant break-in for several hundred hours thereafter. I therefore let the Cells run continually for several days before starting critical listening. They sure did. 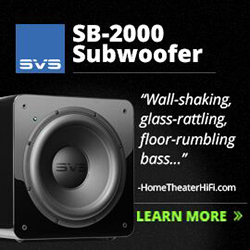 I was immediately confronted with faster, cleaner, more detailed, more dynamic sound than I had ever heard from my system. Soundstaging, three-dimensionality, and image solidity also improved. What was left? Well, pretty much everything took a significant leap forward, but what really struck me was the improvement in refinement. First up was Pieces of a Dream’s Love’s Silhouette. Quickly, it was clear that I was not in Kansas anymore. In "Nice & Easy," Gerald Veasley’s bass guitar sounded very different with the Cells in the loop: more textured and detailed, and with a polish and a delicacy that had previously eluded my system. On "Mystical Perception," the choired saxophones were rich, ultravelvety, and brimming with harmonic nuance. Finally, true high-end magic was coming from my speakers. Now knowing how good my system could sound, I reached for some heavy artillery: Winston Ma’s This Is K2 Sound!, Ultimate Disc version (CD, FIM K2 HD 078 UDC). This extreme audiophile disc ($180!) is, among other things, burned directly from the original master recording. I have a lot of discs, but this may be the best-sounding of them all. When I played Pepe Romero’s "Zapateado," it was obvious that, with the Galileo Universal Cells, more spatial information was traversing my system. The horizontal movement of the tap dancer from one side of the stage to the other was now not only more vivid than ever, but the moves from the front to the rear of the stage were now fully exposed as well. With "Touch," by Christopher Hardy, the realism was striking. Hardy plays a rare flame drum, and I was now able to hear the different directions from which its skin was being struck. The Cells made even slipshod recordings sound good. Not long ago, I bought a copy of Alicia Keys’ The Element of Freedom (CD, J-Records 46571-2) because I liked the song "Empire State of Mind." As I’d feared, the album’s sound quality left much to be desired. But with the Cells in place, acoustic piano notes lost their hard edge and displayed, for the first time, significant attack, sustain, and decay, and I could hear in Keys’ voice a deep, raspy texture that had previously been masked. I then removed my Tesla cables and listened to Synergistic’s Basik cables, with and without the Cells. Not more than a few minutes of listening revealed what was perhaps the most surprising discovery of all: the Basiks were so good that they would likely not be mismatched if paired with some of the most expensive and best-performing equipment available. Dynamics, soundstaging, and transient speed were all first-rate. These "giveaway" cables will likely be greatly appreciated, regardless of whether you’ve purchased cables yet. In fact, the Basiks might be one of the biggest audio bargains today. While my Teslas offered better performance, the gap between the two might have you questioning the need to spend big bucks on cables at all. Turning to the Galileo MPCs, it’s of course no shock that a better power supply can significantly improve audible performance. But even Ted Denney would agree that the active shielding is ancillary to the signal. 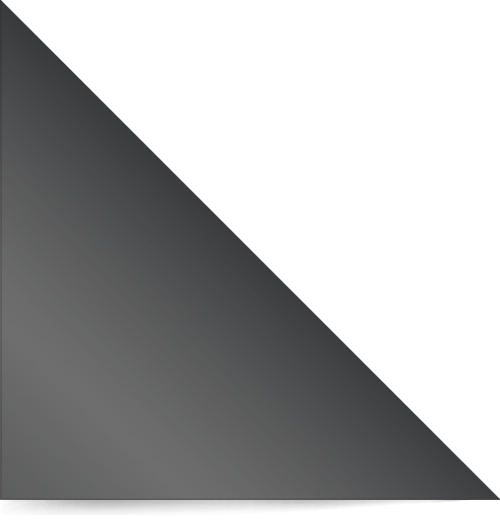 Could enhanced power for the shielding make a difference? Well, you guessed it -- it did. The GMPCs brought greater clarity and transient speed, lower noise, and even more refinement than the standard MPCs. While using the GMPCs with the Cells brought a very nice improvement, the addition of a few more to my Tesla cables brought the equivalent of a significant component upgrade. 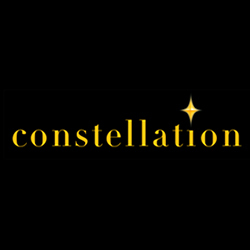 Fair warning: Once you hear how the Galileo MPCs firm things up, there’s no going back. A small caveat. I now have a fair number of Synergistic products in my system: Galileo Universal Speaker and Interconnect Cells, Tesla Apex speaker cables, Apex and Precision Reference interconnects, a PowerCell 10 SE power conditioner, and several QLS line strips. With the addition of each of these products to my system, I experienced very substantial gains. However, no single product affected the positively unearthly performance that I now enjoy. That is no doubt a product of the cumulative effects of all of these products, working in, well, synergy with my components. The Galileo Universal Cells and Galileo Mini Power Couplers have not only exceeded my expectations, they have brought my system to a level of performance that has always been elusive, and that I thought I might never have without spending far more than I can afford. If you want your system to really swing in the big leagues, these products may get it a good part of the way there. In short, these are remarkable products from a truly innovative company. Given how my system sounds now, I can’t wait to see what Synergistic Research has coming next. The Galileo Universal Speaker Cell is the fourth Synergistic Research product I’ve sampled, the others being the Tesla Tricon USB cable and the T2 and T3 power cables. I was so impressed with the amazing clarity and honesty of those three earlier products that they became permanent parts of my review system. When I was asked to provide a Take Two on the Galileo Universal Speaker Cell, I eagerly agreed. At first I fed my reference Supra Cable Ply 3.4/S speaker cables into the Universal Cells, which I then connected to my speakers with the included jumper cables. I instantly heard a change in the sound of my system. 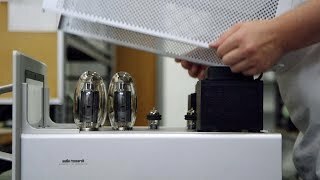 Synergistic’s Tesla products have an uncanny ability to remove the infamous veils we talk so much about in audio. Adding the Cells to the Supra Cable, and later to the Analysis Plus Black Oval speaker cables, was like the difference between looking through a window dirtied with a year’s worth of grime and looking through a freshly cleaned one. As an introductory offer, Synergistic Research is providing a pair of 4’ Galileo Basik speaker cables with the Galileo Universal Speaker Cells; my review samples came with these. Although 4’ might seem short, the Cell’s jumpers are about the same length, and with that combination I had no trouble connecting amp to speakers (Gemme Tonic, Definitive Technology Mythos ST). I’m glad Synergistic sent along these most basic Tesla-series cables; what they achieved with the Cells was absolutely remarkable. The first track I listened to with the Basik cables replacing my Supras was the Dave Brubeck Quartet’s "Three to Get Ready," from Time Out (CD, Columbia/Legacy 65122). I was reading a book and listening casually, just to see if the Basiks added enough to draw my attention away from the story of legless British fighter ace Douglas Bader. I sat up, put down the book, and paid attention. What got me was the utter naturalness and clarity of a single ride-cymbal stroke at the beginning of the track. It just hung there in space, decaying -- no, that word is too harsh -- slowly fading into silence, as if it were the most important sound ever to pass through the air. I realized that this 1959 recording, remastered or not, suddenly sounded as if it had been recorded last week. Next, I found that the simplest sounds -- a muffled cough from the audience, someone shifting in his seat -- during the quiet solo-piano opening of "All Across the City," from Bill Charlap’s Live at the Village Vanguard (CD, Blue Note 97044), were so utterly clear and real that it seemed as if I were in that club that night. The Galileo Universal Cells got deep into the heart of not just the music, but also the place, the atmosphere, and the time of its recording. 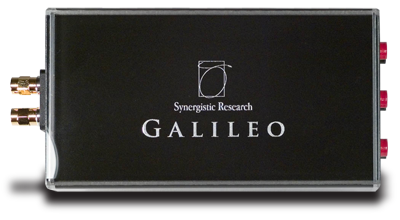 I have to agree with Howard Kneller: Synergistic Research’s Galileo Universal Cells are remarkable products that live up to Ted Denney’s claims. They aren’t cheap, and in a system like mine, which cost about $10,000, they might seem an extravagance. But if you love your existing equipment enough to have no desire to buy more, the Galileo Universal Cells might be just the tickets to get the most out of what you’ve already got. Get them while the Basik speaker cables are included as a bonus -- or make sure you buy some even when that deal is no longer offered. 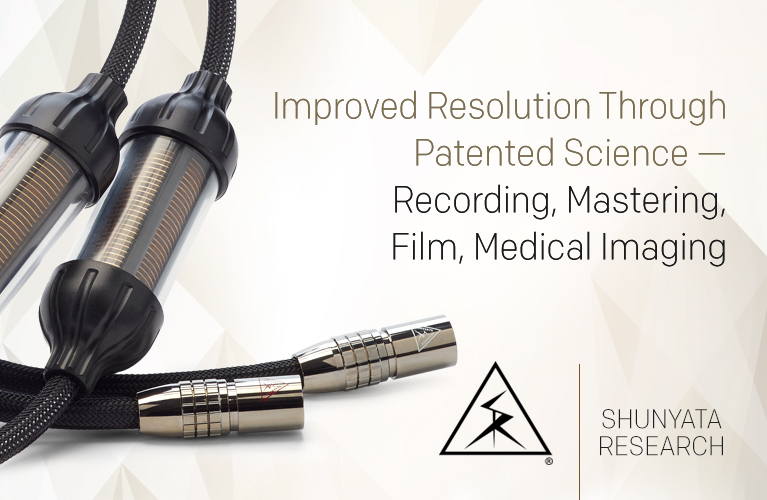 The Galileo Universal Speaker Cells will make the cables you have sound better; with Synergistic Research’s own products, they’ll take you to the moon. Unhesitatingly recommended. 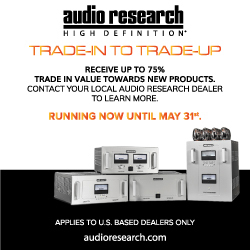 Prices: $1500 (RCA), $2000 (XLR) USD per pair.